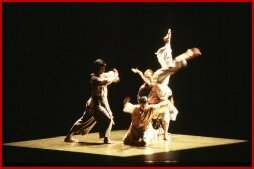 “Dust”, a multi-cultural collaboration between ANITA RATNAM, Arangham Dance Theatre, (Chennai, India) and MARK TAYLOR, Dance Alloy,(Pittsburgh, USA) was choreographed in April 2001 on 2 dancers from each company, with original music by composer ALICE SHIELDS (USA). 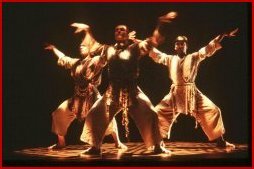 The work displays kinetic, aesthetic and cultural interfaces with a seamless blending of the Japanese Butoh dance, Bharatanatyam and Modern styles. “Dust” is doing a three-city tour of India, covering Hyderabad, Chennai and New Delhi.